The beta N-Calculator (calc.nprint.org) is only available for the United States. A new version with additional countries is coming soon. The original Flash N-Calculator is currently available online for the United States, the Netherlands, Germany, and the United Kingdom. N-Calculators will soon be available online for Austria and Japan. Tools are in development for more countries, including Australia, China, Denmark, and Tanzania. 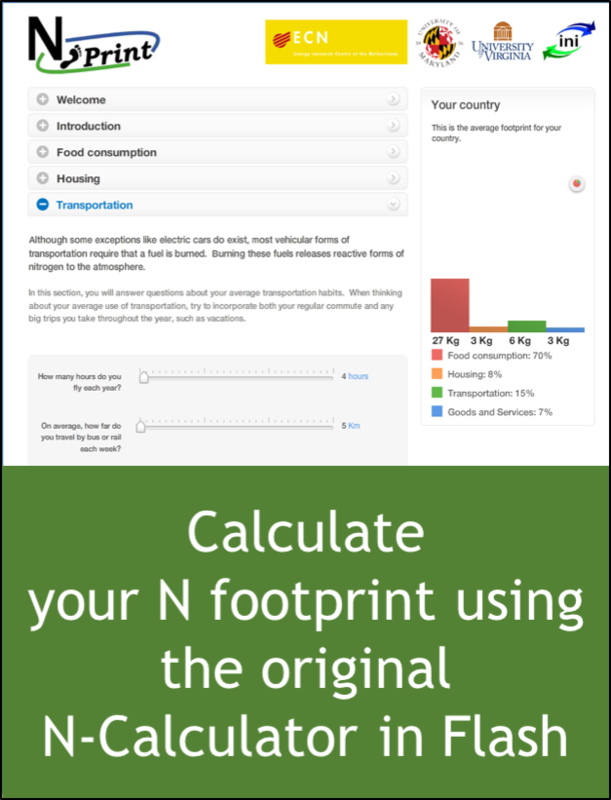 If the N-Calculator is not yet available for your country, then you can still calculate your N footprint! Just select the country that is most similar to your home country. Please note that, depending on your network connection speed, it could take a couple of minutes before the application is fully loaded. The N-Calculator, which starts with the average per capita consumption of consumption choices in a country, is then scaled to the individual based on the user’s answers to the questions. 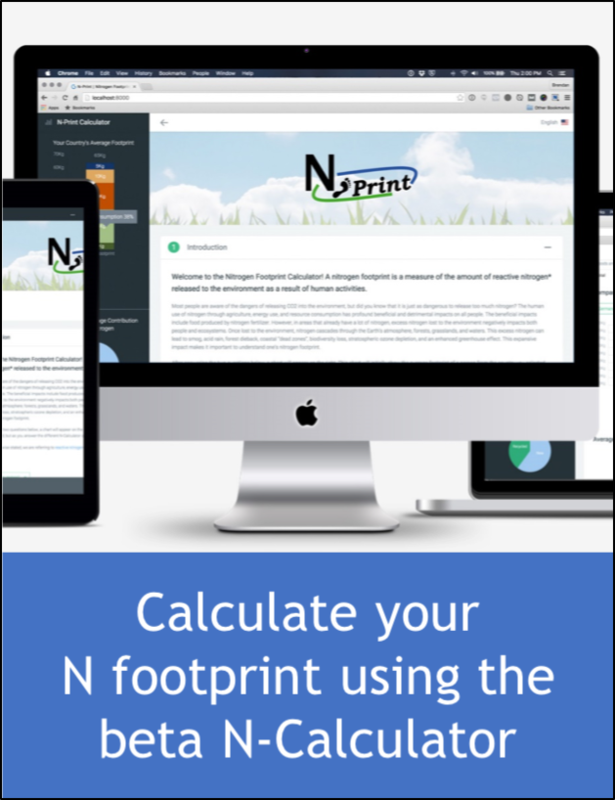 The N-Calculator then estimates the nitrogen lost per unit of per capita resource consumption. The figure above shows the average per capita nitrogen footprint in the United States (adapted from Leach et al. 2012).